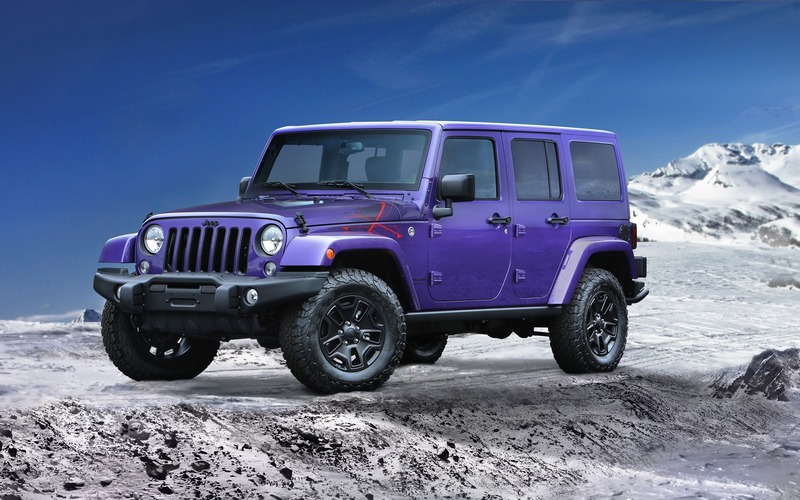 Jeep just announced two new special editions of its vehicles for the new model year. Starting in 2016, buyers will be able to get their hands on the Grand Cherokee SRT Night as well as the Wrangler Backcountry. The special Grand Cherokee comes with a few upgrades to make it more subtle (as subtle as a 2,336-kg SUV packing a 470-horsepower V8 can be, anyway): a few bodywork panels (like the top, rear spoiler, front grille, B and C pillars as well as the window surrounds) are painted gloss black. Unique wheels are also part of the deal, as well as a black Laguna leather interior, silver stitching and black chrome dials. Available colours include Velvet Red, Billet Silver and Granite Crystal. The other vehicle is much more unique: the Jeep Wrangler Backcountry was supposedly inspired by winter lovers. Based on the Wrangler Sahara, the Backcountry gets a set of decals that look like they came straight from the '90s, off-road front and rear bumpers, black-painted 17-inch wheels and the sidesteps that are usually found on the Rubicon. A black hard top comes standard, but buyers can opt for a body-coloured top. The inside of this Jeep also features an array of accessories painted in black, and the Alpine sound system as well as Bluetooth connectivity comes standard. News A Four-Cylinder Engine for the Jeep Wrangler?